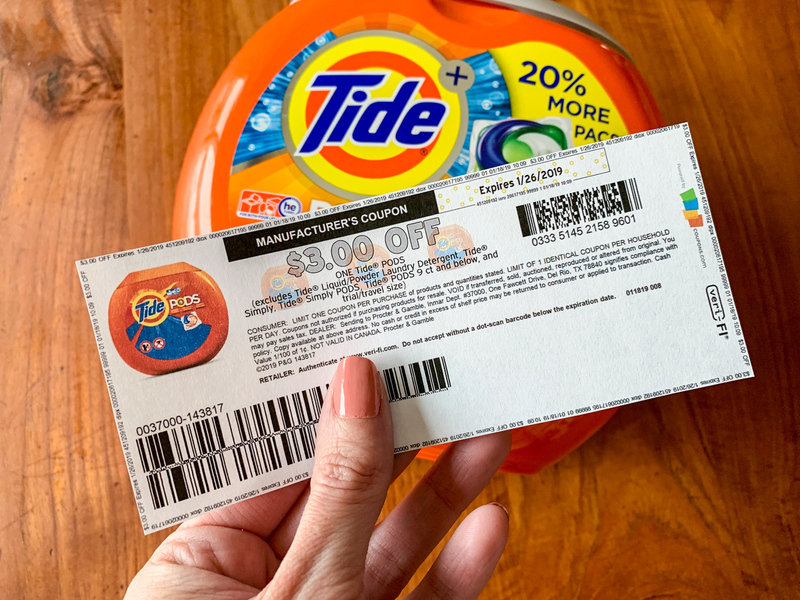 Here’s the scoop… If you’re a fan of Tide PODS (or if you just like BIG discounts on laundry detergent), you need to head over to P&G Everyday RIGHT NOW and print this new Tide coupon! 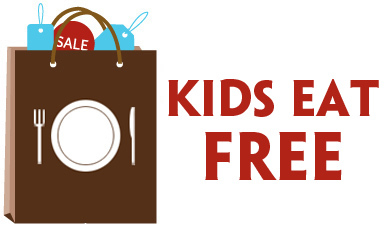 Or you can visit Kroger.com or the Kroger app to download. 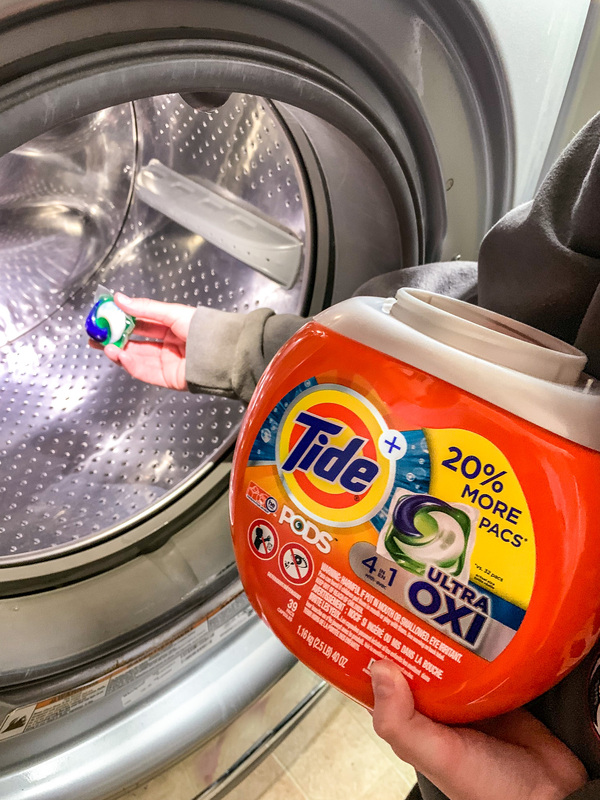 With it, you can score $3 off ANY Tide PODS package. 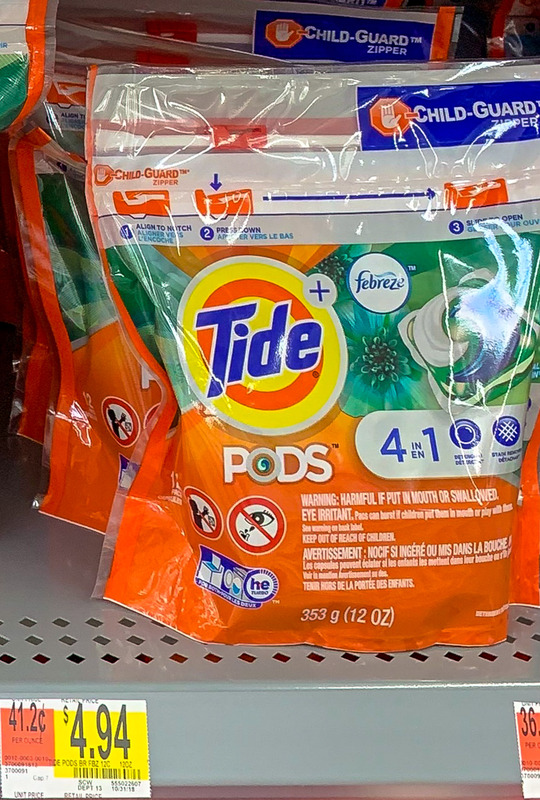 Well, almost any — it does exclude Tide Simply PODS and any 9-ct. or lower package. But all other packages are fair game! Like these 15-ct. 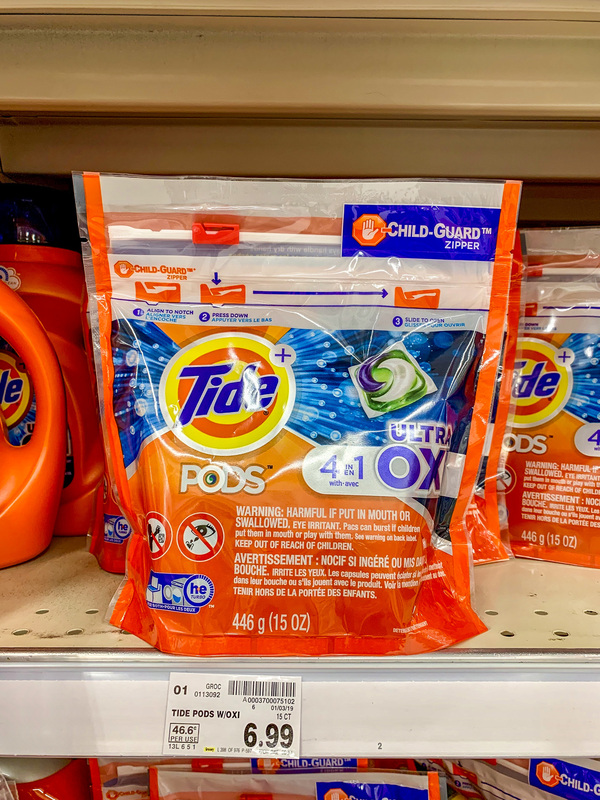 Tide PODS 4-in-1 Ultra OXI packages — priced at just $6.99 at Kroger. 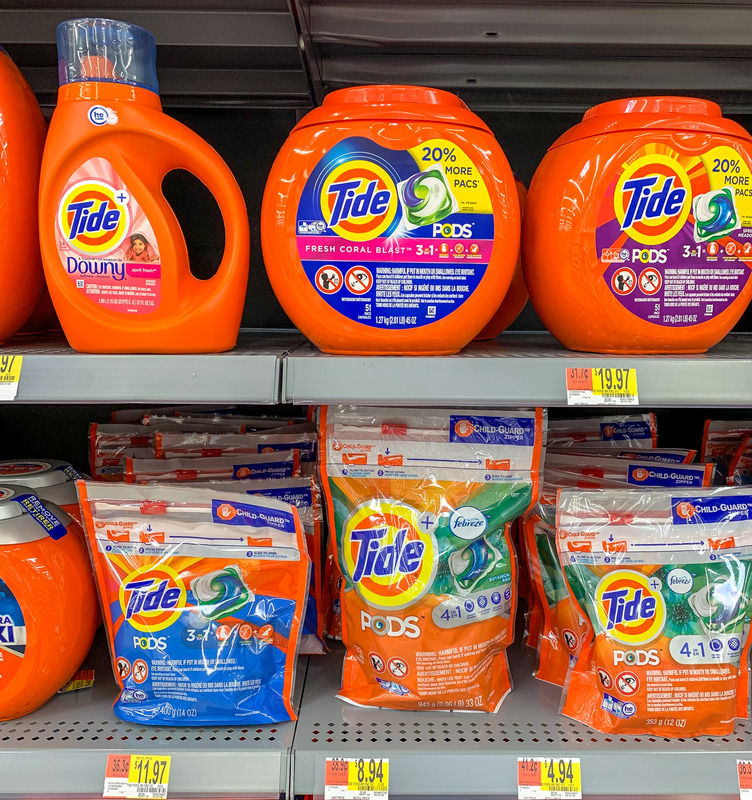 Minus the printable Tide coupon, you can pick them up for $3.99 each. That works out to about $0.27 per load! 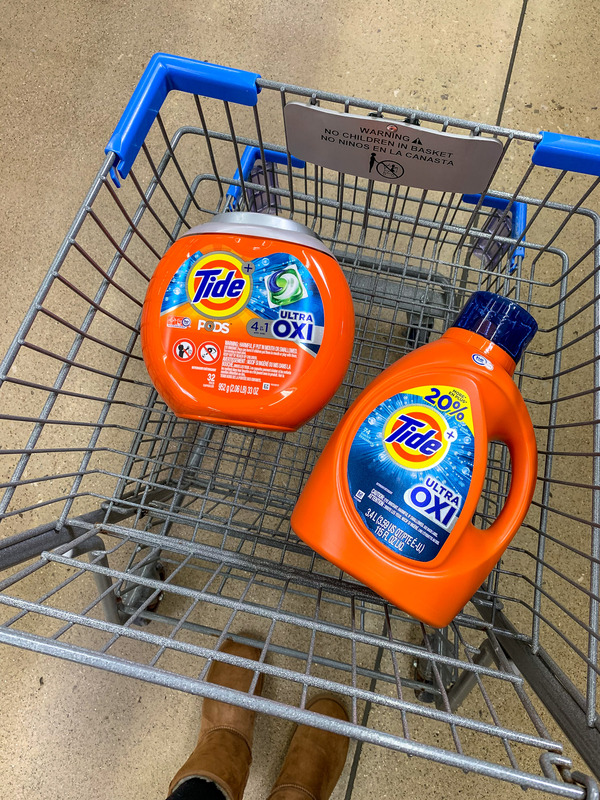 $3.99 ($0.27 per load) after coupon! 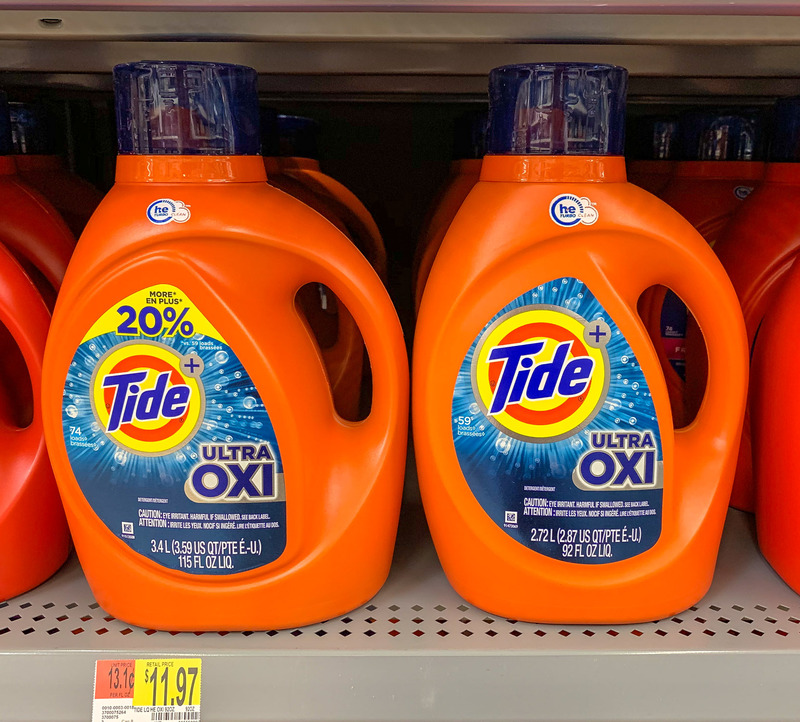 The 4-in-1 OXI variety happens to be my very favorite because it catches all of the stains that I sometimes miss when doing laundry for seven. I can barely keep up, let alone check for stains on each and every item of clothing! 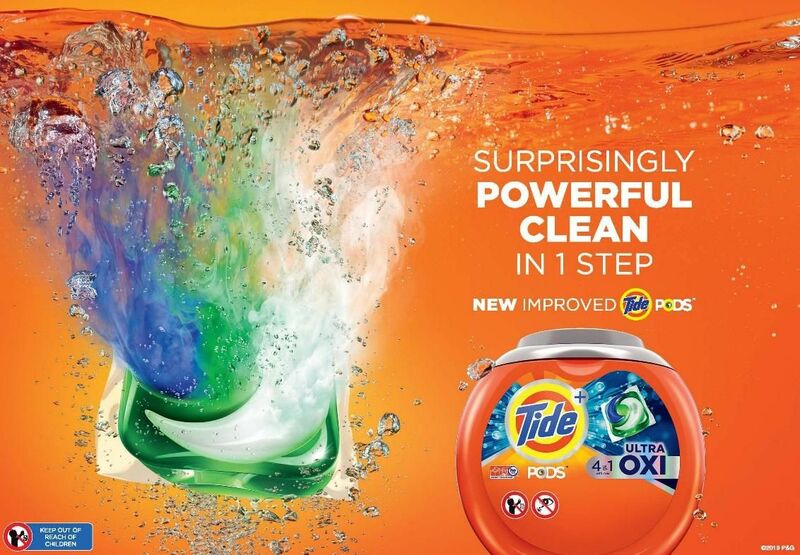 Or you can save slightly more per Tide POD on the Original, Spring Meadow, Ocean Mist, or Free & Clear 20-ct. packs. They’re also priced at $6.99, but with the higher count it works out to just $0.20 per load after the coupon. $3.99 ($0.20 per load) after coupon! 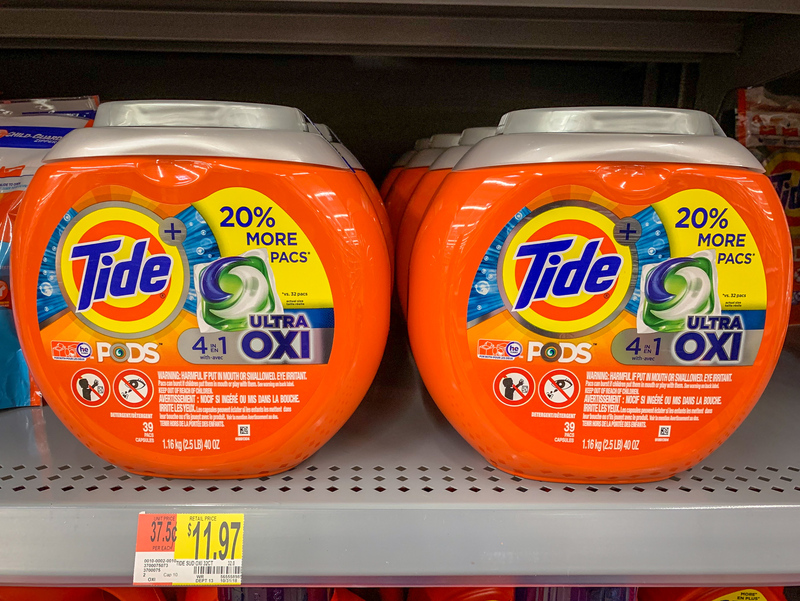 Based on past trends, I can tell you this high value Tide PODS printable coupon typically only pops up about twice a year. 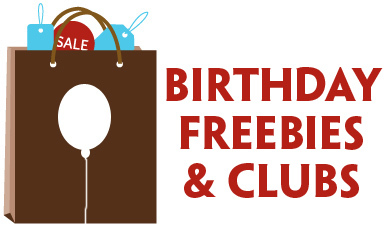 This coupon expires on 1/26/19 (just 7 days from now! ), so don’t wait. P.S. 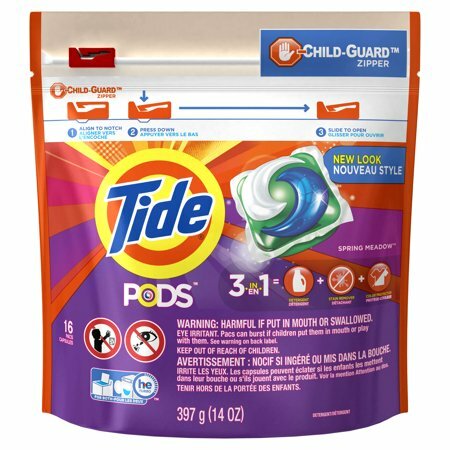 In case you weren’t aware, Tide PODS just got an upgrade!